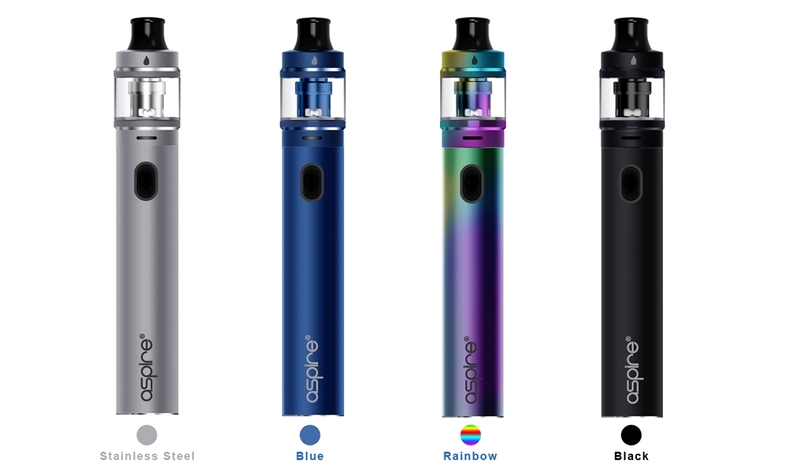 Aspire Tigon Kit is an all new ‘stick’ style device as well as an easy to use ‘child safe’ compact device, which can be used as an MTL (mouth to lung) or a restricted DTL (direct to lung) vape. It is powered by 2600mAh built-in battery and works in ‘By-Pass’ mode. 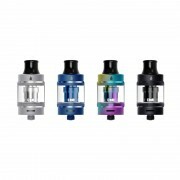 It uses an ingenious design that will seal the wicking holes in the tank when the coil is removed. 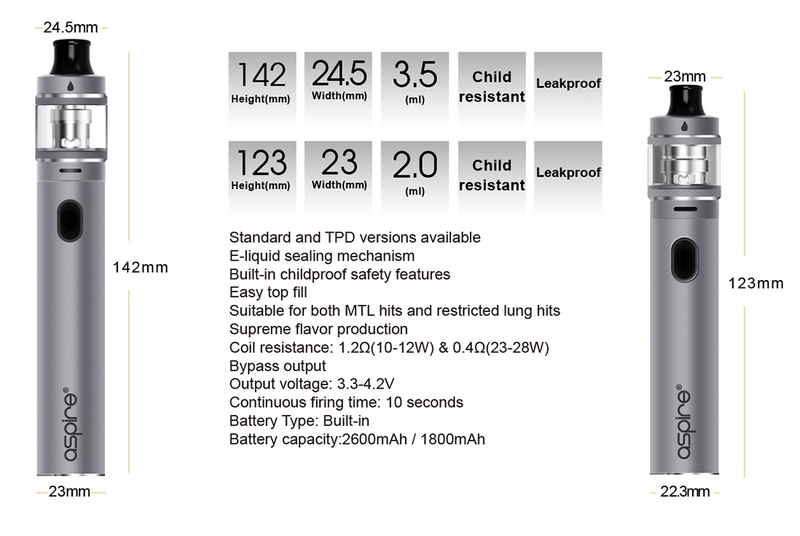 The capacity of the tank is 3.5ml. It features dual function airflow settings and convenient top filling solution. 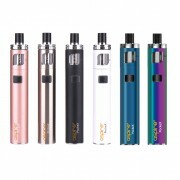 In addition, the package includes Aspire Tigon 0.4ohm coil and Aspire Tigon 1.2ohm coil. How to charge Tigon Battery? 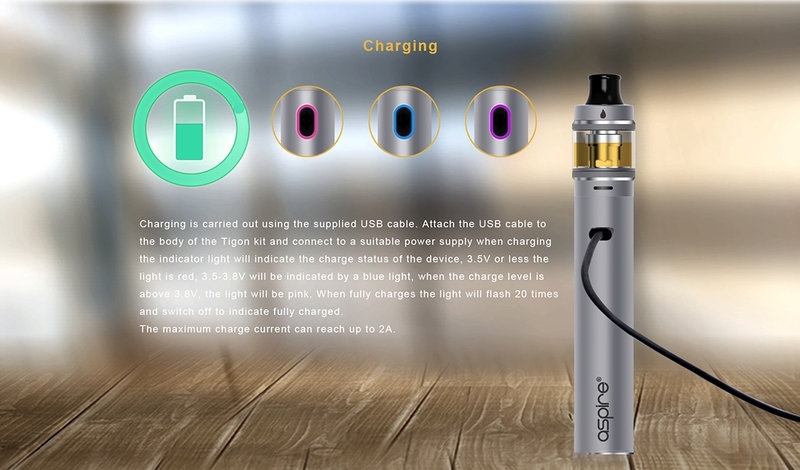 Simply charge Tigon Battery by connecting it with a computer, a power bank, a wall adapter or other electronic devices (with a USB port that is capable of providing a charge) via USB cable, also you can purchase an inexpensive USB car adapter, thereby affording you the ability to charge the Tigon battery in the car. This is particularly useful while you are on long drives and road trips. 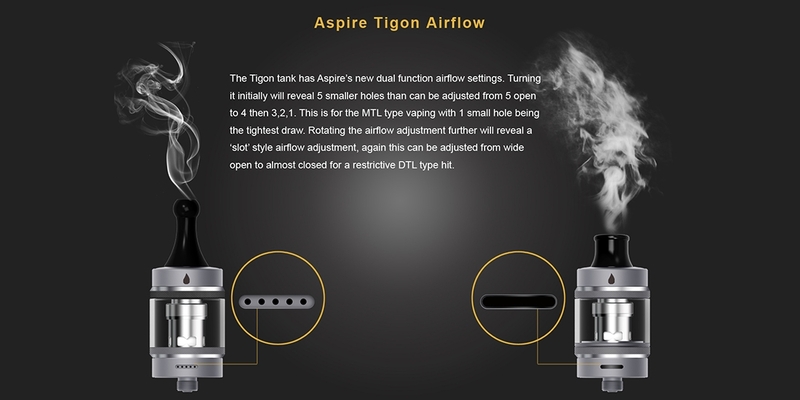 ❤ Please read the user manual carefully before using this Aspire Tigon Vape Kit. 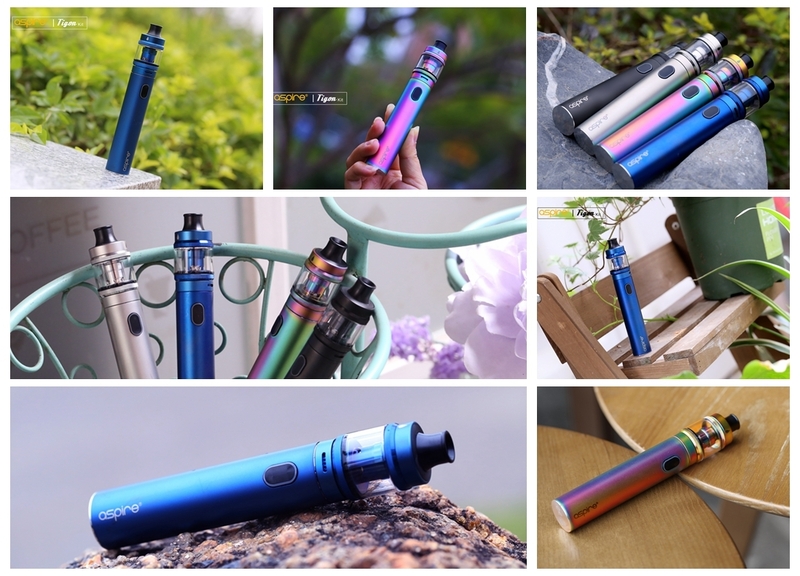 ☞ 6 months warranty period for Aspire Tigon Vape Kit.